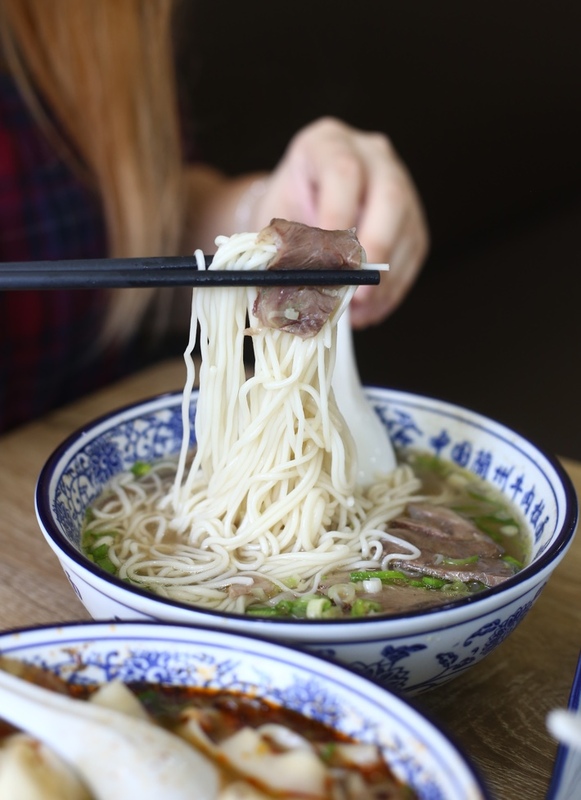 Hailing from the well-loved Tongue Tip brand that has over 300 outlets in China, Tongue Tip Lanzhou Beef Noodles is the first store to open in Singapore. What makes this place great is the fact these dishes were created by the Muslim-Chinese Hui people from Lanzhou, Gansu province in China, meaning that what’s served here is literally the real-deal. 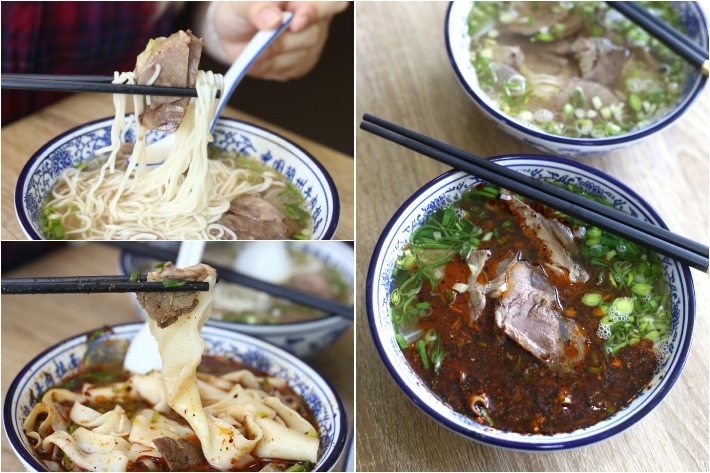 With a variety of different noodles as well as oh-so-tender beef slices, this is definitely a place to keep on your radar if you happen to be in the Tiong Bahru area. What we love about this place is how your dish can be customised to your preference. 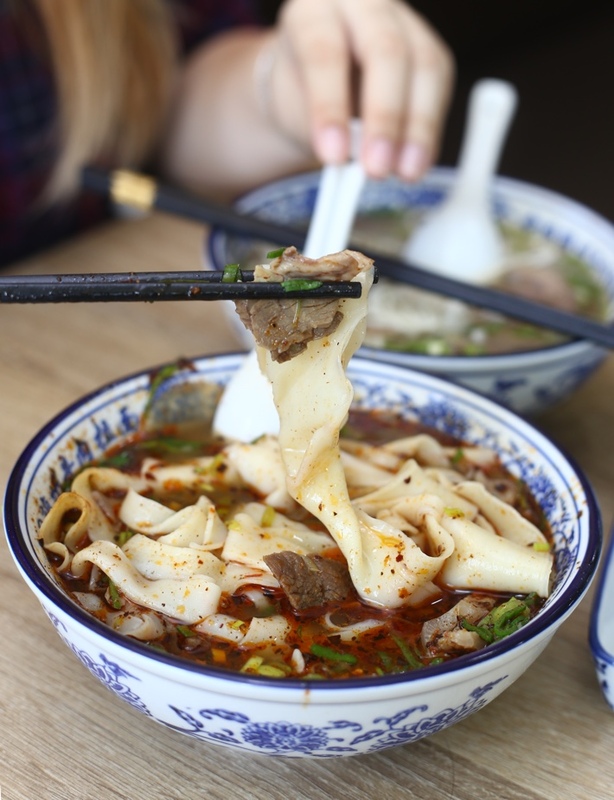 First, you choose the type of dish you want with the options of their Signature Beef Noodles, Mala Spicy Beef Noodles, Sauerkraut Beef Noodles and Dry Noodles. You then choose the size of your noodles depending on how peckish you are feeling that day. You can also opt for a set meal which is an additional S$4. 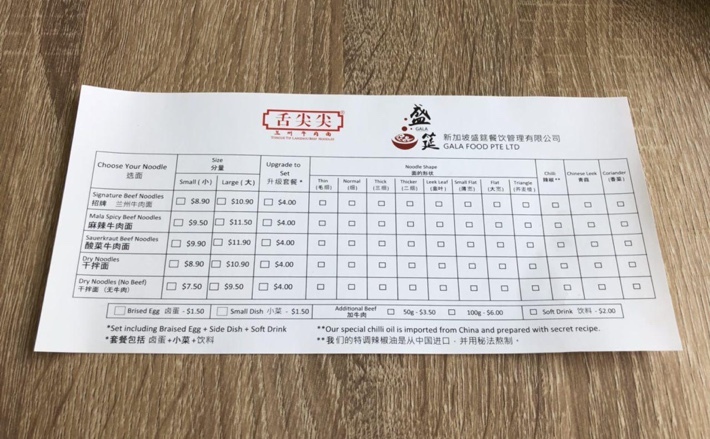 Finally, you get to choose the type of noodles you would like. They have tons of different options such as Thin, Normal, Leek Leaf, Triangle and Flat. We decided to try their Signature Beef Noodles (Small bowl S$8.90, Large bowl S$10.90) with the normal noodles. Despite the fact that we ordered the smaller bowl, the serving size was incredibly generous. The noodles were delightfully springy and had just the right amount of chewiness to it. 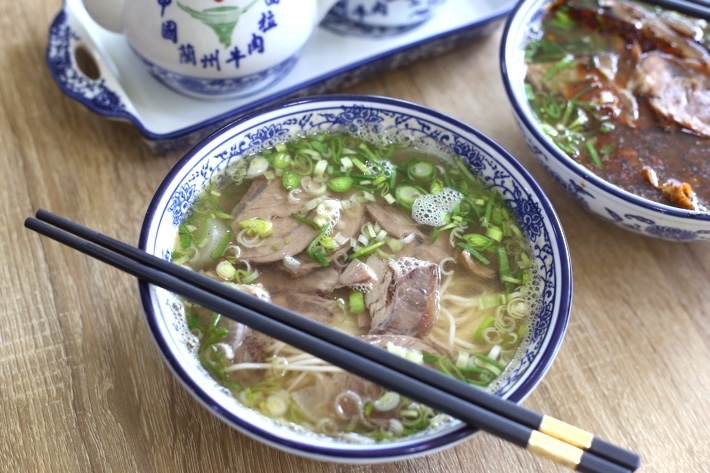 It nicely soaked up all the rich broth which we, later on, slurped down without much hesitation. They also gave us a copious portion of thinly sliced beef that was nice and tender. Next up, we tried their Mala Spicy Beef Noodles (Small bowl S$9.50, Large bowl S$11.50) with the flat noodles. Once again, they were very generous with the portions. The bowl of mala noodles was smothered in a layer of red mala seasoning which made it look pretty intimidating. However, the concoction was not as spicy as we had anticipated it to be, but rather, more fragrant if anything. We also much preferred the flat noodles over the normal noodles as the flat noodles gave the dish a whole lot more texture and bite. 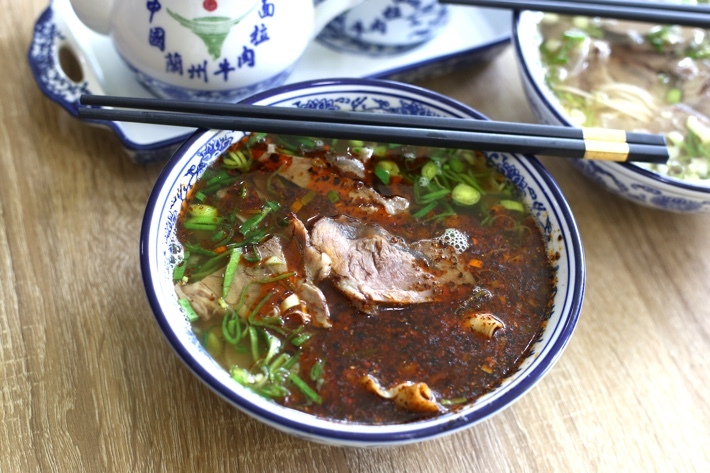 Its larger surface area also soaked up significantly more broth which helped us to enjoy the dish even more.